In late 2009, Carolyn Keith Hopper lost her father. When her mother’s grief over his death turns to a relentless and misplaced anger, Hopper realizes that his passing heralded another loss: that of the loving woman she once knew. Seeking solace from the tension and confusion that are crowding her life, Carolyn turns to nature. Her excursions to the beaches of Cape Cod, hikes on the mountain trails of Montana, and a vision quest in Colorado help her come to a place of understanding and bring happy memories of her mother back into her heart. 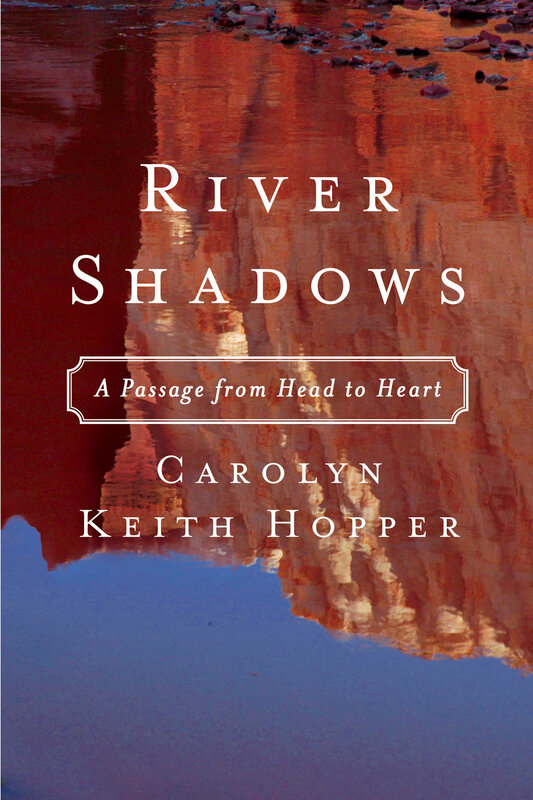 River Shadows: A Passage from Head to Heart takes readers along Carolyn’s path of healing and illustrates how they, too, can make peace with life’s losses. “In these intimate and lush pages, we journey with the author (at once daughter, mother, wife, and woman) as she searches for her inner wilderness, her true nature . . . summoning the world of rivers, mountains, flora, and fauna to guide her to what she seeks most: liberation."